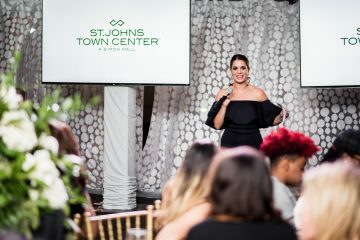 Make sure the waistline hits right above the bump or right below- there is NOTHING more unflattering than a romper (or dress) where the waistline cinches and cuts right across the bump. I’ve seen it before and its a definite fashion no no. Length. This is one that sort of just depends on your build and how comfortable you are- honest moment: It’s summer, my legs are clearly bigger due to pregnancy and the chafe is SO REAL. I like to opt for a longer more flowy length when it comes to a romper. On the other hand, you may be blessed and not have this problem and can rock the shorties- go for it, but just know that a growing belly will naturally hike up the shorts when you walk and I honestly don’t want to have to worry about constantly pulling down. Go for maternity wear when you can. I know some ladies like to be able to say: “Oh this isn’t maternity”- I was one of them in the beginning. My BEST bit of advice? Wearing the maternity styles when possible. It’s made to fit a bump and this will be your most flattering and comfortable option. I PROMISE. THIS tote from Barrington Gifts has been my absolute FAVEEEEE the size is perfect- not too big, but big enough to fit everything I need. I use it for everyday style, as my work bag because it fits my ipad, laptop, chargers and even a big camera, I’ve used it to travel internationally as my personal carry-on and I know I’ll be using it occasionally as a diaper bag as well! THIS ORGANIZER has been a game changer while using this tote too- being only $16 it’s 100% worth it! Barrington Totes is awesome too because you can customize everything. 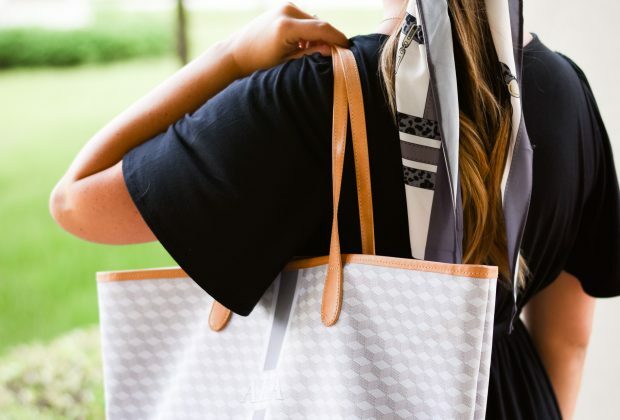 The print, leather color, style of your monogram if monogram is desired- the list goes on! 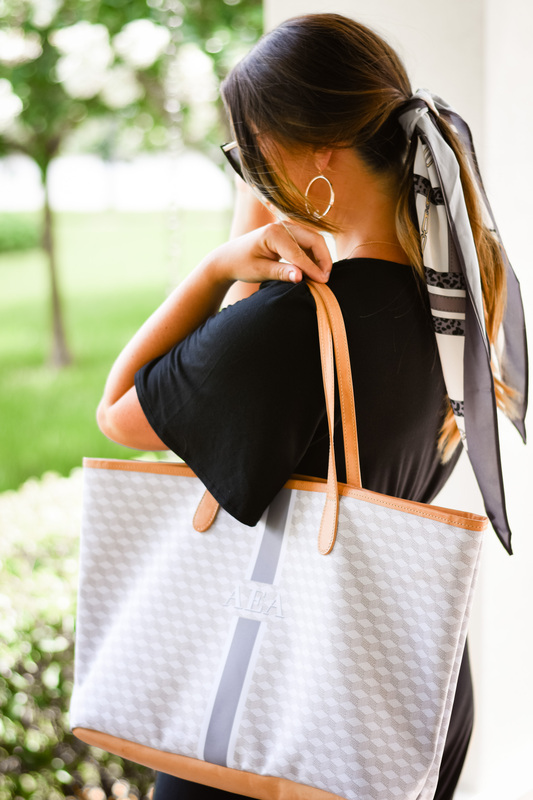 My tote is the oyster grey geometric print with the grey stripe and lighter leather! 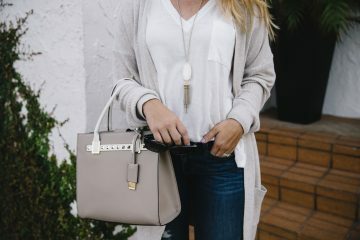 If you’re in search of a nice quality tote, but don’t want a plain brown leather one, or maybe don’t want to splurge on an expensive designer option yet, check out Barrington Tote’s options, I promise you won’t be disappointed! 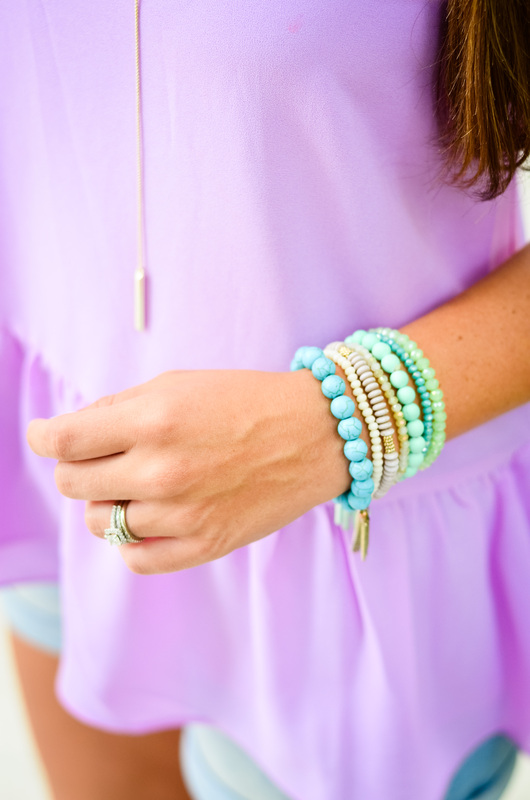 Full outfit details linked at the bottom! 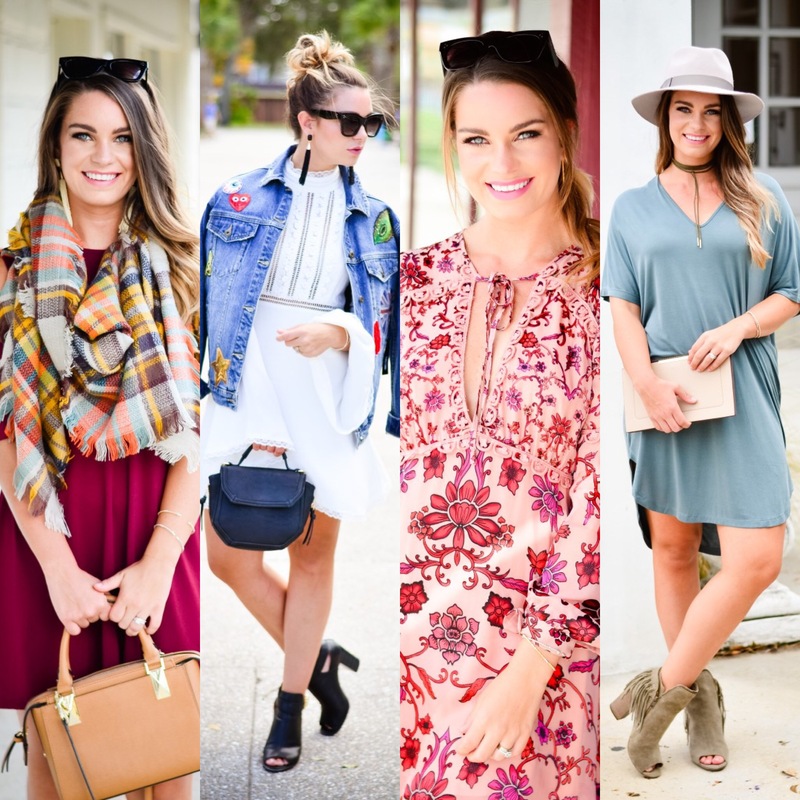 Fall Lookbook with Goldfinch Boutique + 15% off Discount!